The 4th Watch is a new series of podcasts based on the 14th chapter of Matthew when the Savior meets the apostles by walking on the water. Brother Ned Scarisbrick is a convert to the Church and uses his unique style to bring us closer to our Savior by keeping our focus where it belongs. 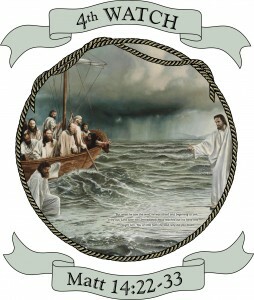 On the Lord Jesus Christ and his abilities to see us through the winds and waves of life. Brother Scarisbrick has been a member of the Church since 1970 when he was baptised in Vietnam while serving in the US Navy. He has been involved in apologetic work for over thirty years and looks forward to addressing listeners with a practical approach to gospel issues by offering a question and answer format for the average Church member and those who desire to understand the basic gospel truths.